LLC Reform for Small Businesses - It's Time for Action! Join the Campaign to Lower LLC Fees in Illinois! The fees associated with filing and operating a limited liability company, or LLC, in Illinois are among the highest in the nation. Forming as an LLC is the right choice for many small businesses because it provides the limited liability features of a corporation with the tax efficiencies and operational flexibility of a partnership. 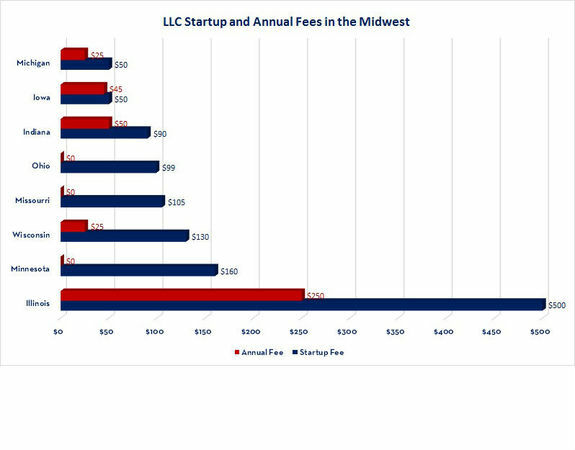 Unfortunately, far too many business owners do not form LLC’s in Illinois because of these excessive fees. Improve the perception of the business climate in our state to help Illinois compete for the best and brightest talent, resources and opportunities for growth. Encourage new businesses to form, which will revitalize city neighborhoods and suburban communities. Help level the playing field for small businesses by matching LLC rates to those corporations currently pay. Prove that politicians in Springfield can get past the partisan gridlock and come together to take real action in support of the small business community. The SBAC and our coalition of over fifty local chambers and trade organizations are engaged in a grassroots campaign to see SB 867, a bill to lower all LLC fees, signed into law. Please join us in contacting State Senator Tom Cullerton, asking him to bring up the measure for consideration during the fall veto session!